The screen mesh normally described number of wires or openings in each direction per linear inch, that is the mesh size we mentioned. The mesh size is determined by the staring in oen wire centre and count the number of the holes in the screen grid to the next wire centre. For example, an 40 mesh screen has 40 holes in 2 directions in each square inch. The separation size of the screen is largely depending on size of the holes in screen, the hole size is the distance between wires measured alone the screen mesh grid. The hole size can be found if you clear wire diameter and mesh size. API RP 13C has details description of shaker screen testing and labeling procedure. It is required a screen mesh to be tested and labeled with a recommended practice. 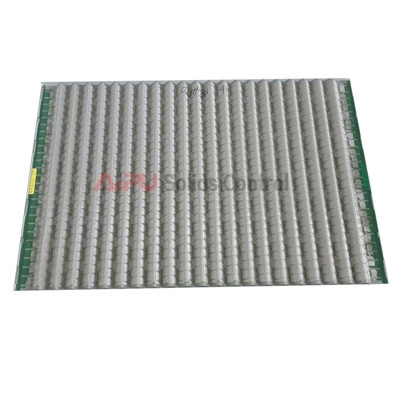 AIPU Solids Control manufacture screen mesh for shale shaker according to API RP 13C for various replacement shaker screen for worldwide brand of shale shaker. The API RP 13C cut point test is based on particles by screen size with ASTM sieves. The D100 cut point means 100% of the solids particles larger than the screen mesh can be passed. 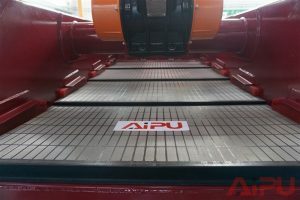 AIPU Solids Control build screen mesh for our own shale shaker that frame type screen and holk strip screen for AIPU hunter shaker. Other than AIPU hunter shaker screen mesh, we build shale shaker screen for various replacement shaker model according to API RP 13C regulation and requirement. 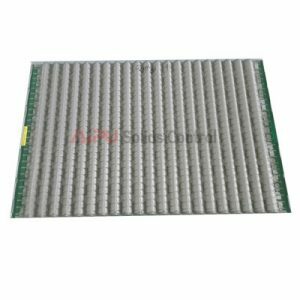 Like holk strip screen for FLC 500 , FLC 200, ALS screen and frame type screen for king cobra screen, KPT screen and other brand. Other than screen mesh, please contact our website for shale shaker and mud cleaner for further more understanding.